vRAN can provide operators with the increased flexibility necessary to support next-gen network deployments. Despite confidence from US operators that 5G will be up-and-running this year, a number of challenges still needs to be addressed before these deployments can truly take shape. Alongside valid comments from T-Mobile’s CTO Neville Ray, who slammed Verizon’s decision to use pre-standard technology, a list of network design concerns, virtualization considerations, and spectrum efficiency questions are flying under the radar which must be addressed before 5G networks can truly go live. To ensure 5G’s success, operators need to capitalize on the lessons they learned from previous network rollouts – and there are plenty to be had. The shift from 2G to 3G was a considerable step change in function for the industry. The move from 3G to 4G was more drastic, and 5G will present greater hurdles still. 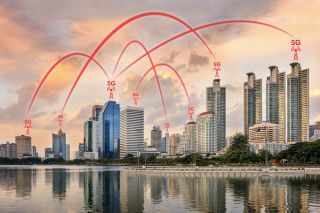 At a critical time when 4G infrastructure expansion continues to grow and the roll out of new 5G hardware is set to drive up CAPEX even further, the need for a capacity-efficient and cost-effective way to manage the varied requirements of the Internet of Things, smart cities, and other 5G use cases has never been more important. Granted, operators have long faced similar challenges to this, and in many different forms as mobile technology has evolved. However, on the cusp of 5G’s evolution, and with the lessons from previous generations of mobile technology behind them, this environment does present new considerations for operators when it comes to approaching future network design – starting with the Radio Access Network (RAN). It’s widely accepted that current RAN infrastructure is inefficient for the success of 5G, largely because it’s based on dedicated custom hardware that hamstrings quick and cost-efficient expansion. Equally, the current provision of finite coverage and capacity with a fixed allocation, or a point-to-point allocation of baseband radio resources, isn’t going to cut it in a 5G world either. Until now, this lack of flexibility has led operators to make large CAPEX investments to support new technological advances and business models. As a result, they’ve had no option but to support the systematic over-provisioning of resources needed to manage peaks in network demand. While this was somewhat tenable for 3G and 4G deployments, the considerable data growth expected through the evolution of 5G means this is fundamentally no longer an option. Virtualized RAN (vRAN) offers a lifeline in this regard by allowing many of the functions of the baseband to be executed in software while running on commercial off-the-shelf (COTS) hardware. vRAN therefore gives operators flexibility the likes of which they’ve never had before. Both in supporting next-generation network deployments and also for extending efficiency gains as a result of the new network design considerations brought about by this shift. However, vRAN is only one piece of a much larger puzzle. While it has made significant changes to core network architecture, the greatest advantages of virtualization will only be realized once that virtualization is end-to-end. Not just covering the base stations of the network but extending it across to the fronthaul to include the network radio resources, which in turn will depend on a change to the current fronthaul network design. This is where a three tier multipoint-to-multipoint fronthaul network will play a key role. In comparison to traditional two-tier designs which employ a point-to-point connection between the Baseband Unit (BBU) and Remote Radio Unit (RRU), a three tier fronthaul architecture enables any baseband resources to be routed to any RRUs, regardless of vendor or protocol interface, analogous to how IP data packets are routed in the data network. Adding an additional vendor- and protocol-agnostic tier not only supports shared infrastructure and dynamic capacity allocation, but enables a true open RAN to become a reality. This approach allows mobile operators to select RAN elements that best fit the varying 5G applications and deployment scenarios in the most cost-effective and efficient way. Today, fronthaul interfaces are still vendor-specific. This is largely because the Baseband Unit (BBU) and Remote Radio Unit (RRU) connection has traditionally been part of the interworking of the base station, with the widely used interface being the Common Public Radio Interface (CPRI). Optical fibers have been used almost exclusively because of the demanding CPRI data rate. However, to support the centralization of the baseband resources and throughput requirements of 5G, use of CPRI as a transport protocol has its limitations. This has led to an increasing number of discussions from the 3GPP, IEEE, and eCPRI /CPRI standard bodies about the split of functions between the Central Unit (CU) and Distributed Unit (DU) to support the high bandwidth, low latency, and scale and scope requirements of 5G. Therefore, a 5G-ready fronthaul must be able to adapt to different functional splits and support not only the current protocol, such as CPRI, but other future protocols such as eCPRI, Radio over Ethernet (RoE), and Ethernet. While the applications and use cases of 5G are no doubt very exciting, it’s important to remember that 5G is yet another network rollout for the mobile operators. Keeping in mind that they’ve already invested billions into existing infrastructure, it is ideal to leverage as much of this as possible in migrating to 5G. This again highlights the importance of a fronthaul network that can support multi-vendors, multi-fronthaul protocols, and multi-technologies. Only a three tier multipoint-to-multipoint fronthaul network can enable mobile operators to cost effectively modernize their networks and enjoy the benefits of fronthaul aggregation, protocol translation and any to any routing while supporting legacy 2G, 3G, and 4G networks. Ultimately, networks are only as strong as their weakest link. Since the advent of software-defined networking (SDN) and until now, this has arguably been the fronthaul. However, an open RAN made possible by an elastic multipoint-to-multipoint fronthaul network, creates a more efficient and innovative ecosystem necessary for 5G to become a reality. Embracing vRAN and extending virtualization to the fronthaul will also help operators to cost-effectively modernize their networks in the entirety while protecting existing investments into 2G, 3G, and 4G infrastructure.